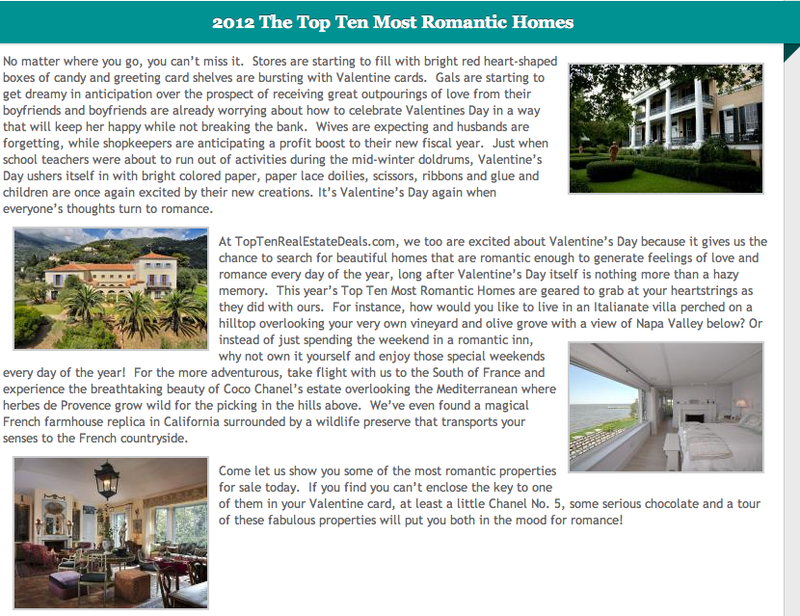 You are here: Home / Blog / "the top 10 most romantic homes in the world in 2012"
"the top 10 most romantic homes in the world in 2012"
Oh my goodness!! Imagine my surprise when our agent sent me this! No one can apply for, nor purchase this advertising! I feel extremely honored; and I am with some very spectacular company!! I have had calls from friends from all over who saw it in their newspapers, and even on AOL! This is sure fun for me!!! And I consider it a big compliment!! Previous Post: « a new blogger's dream comes true! Well, of course you are included! 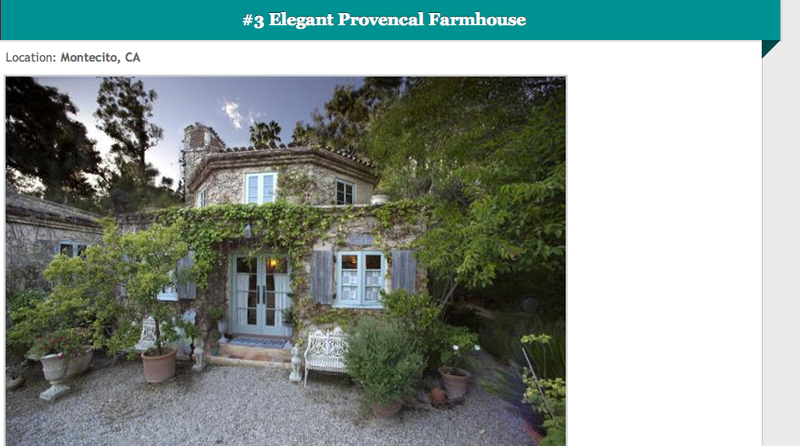 With that glorious house… how could you not be?? Congratulations! It certainly is worthy! Congratulations…your home, and the person responsible for it’s beauty YOU, deserve all the notice you receive. It’s fun for your readers to get to see additional views of the wonderful rooms and grounds. A real expression of our heart and soul. My fingers aren’t spelling very well today. 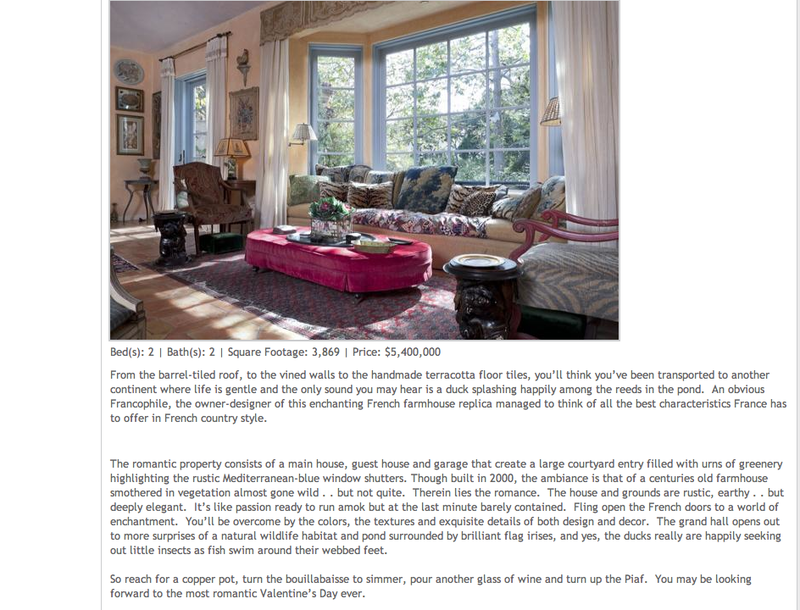 This is a perfect post for Valentine’s Day, because in my eyes your home is the most romantic place on earth! Not only is it beautiful, but I could feel the love that went into its design the minute I walked into your courtyard. Happy Valentine’s Day to you and Adam, and congratulations on this well deserved recognition of your amazing talent. What a wonderful distinction and totally deserved! Not a surprise though Penny, your home is one of the most romantic I’ve ever seen! Aren’t the stars aligning to send you the message: stay in your beautiful—and romantic—paradise! Why am I not in the LEAST bit surprised? The stuff the dreams are made of. It was so wonderful to talk to you for just a bit while you were in Florida. So grateful for all of your kindness. Of course it would be there. How wonderful. Oh so richley deserved. All the photos I have seen of your home & garden have been magnificent! Lucky Brooke to have been IN it! Your home is so right. Beauty, spirit, light, comfort, joy, intellect. I’m sure it’s also pieces of those you love, things/places that have inspired you. Tears fallen, laughter across the garden. All that comes across in those few pics on my tiny laptop screen. It is hard to believe you haven’t been here! I know you haven’t because I would have found you!!!! All of you thank you so much!! Home before dark; I’m beginning to think you are right about those stars!!! sharing your lovely home with all of us! Cheers! How special is that…congrats! Penelope I am so in love with your home and your amazing sense of style. Congratulations on a superb feature. It is all thanks to Brooke. I would never have ventured out…….. Thank you so much! You are one of my very favorite blogs…….Best wishes! I had a wonderful birthday in the Napa Valley! I will share the most lovely restaurant in my next post! Thank you, you darling woman, for having such a heartfelt and loving, and divine blog!